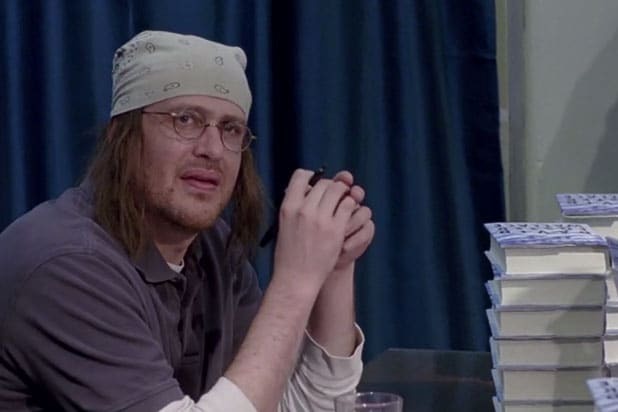 In an exclusive video clip, “The End of the Tour” director James Ponsoldt and screenwriter Donald Margulies discuss the origin of the movie that is based on the relationship between late David Foster Wallace and Rolling Stone reporter David Lipsky as the latter accompanied the author on a book tour. When Ponsoldt received an email regarding the screenplay, he read it over night and responded to Margulies with an overarching interest in the film. The film focuses on the budding relationship between Wallace, played by Jason Segel, the author of “Infinite Jest,” and Rolling Stone reporter David Lipsky, played by Jesse Eisenberg (“The Social Network”). Lipsky joined the author who committed suicide in 2008 on a 5-day promotional book tour in 1996. The film is based on Lipsky’s book about the experience, “Although Of Course You End Up Becoming Yourself: A Road Trip with David Foster Wallace,” and was written by Margulies. And the duo is extremely pleased with the outcome of the film, which opened in limited release last Friday.